I grew up in Ironwood, Michigan and our summer cottage is on Pine Lake in Oma Township, Wisconsin, out of which the Montreal River flows. That is Michigan on the left and Wisconsin on the right and Heaven in between. We are called Yoopers - those of us from Michigan's Upper Peninsula - and if you are one or know one, then you understand that still waters run deep AND know how to get down. 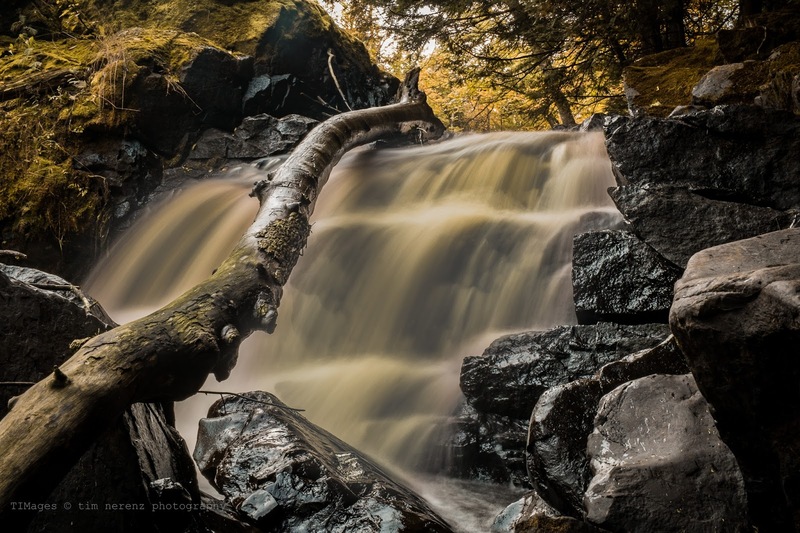 So this shot of the Montreal getting down about 5 meters is for all my Yooper buds wherever we are - black rocks matter.